Stephani is a place rich in Byzantine monuments, monuments that refer to the history of the progress of Byzantine Christianity towards the interior of the Peloponnese during the 10th century A.D. The upland between the villages of Stephani and Aghionori has hosted through the ages countless chapels and churches as well as two monasteries- a sign that the region represented a significant Orthodox Christian centre. The particular economic and social development of the region during the Middle and Late Byzantine Period as well as during the years of Turkish Occupation, is expressed through the important examples of ecclesiastic architecture and hagiography of the chapels and churches that survive until today. - The katholikon of the Old monastery of Taxiarhis Mihail (Archangel Michael), built in the 12th-13th century. The katholikon's wall frescoes are the only surviving artwork of the painter Theodosios Kakavas and dated 1565. - The old parish church dedicated to the Dormition of the Virgin, was built in the 14th century, the interior decorated with wall frescoes in 1694 by an otherwise unknown priest named Ioannis Ritzis. - The basilica of Aghios Athanasios, whose two layer wall frescoes have been dated between the 15th and 16th century. The church itself was most probably erected much earlier. All three churches preserve extraordinary examples of Byzantine fresco wall paintings, that adorn the walls and ceilings of every inch of their interior. Also listed under monumental protection was the old monastery of Aghios Dimitrios. Unfortunately until recently these monuments were completely neglected by the relevant authorities and abandoned to their fate and the decay of time. A fact that resulted in the bitter loss of the old monastery of Aghios Dimitrios and in all three remaining monuments anticipating severe problems that need immediate and thorough intervention in order to conserve the buildings and their interior. 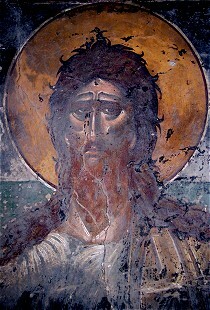 In order to find the huge resources necessary to protect and enhance the three monuments, the Cultural Association in close co-operation with the 6th Ephorate of Byzantine Antiquities has proceeded with the elaboration of conservation case studies (conservation of the buildings as well as the frescoes) for all three monuments, in order to submit them as project proposals for funding. The elaboration of the conservation case studies was of course financed exclusively by the Cultural Association of Stephani. But everyday brings new threats to these beautiful places. The Cultural Association's aim is to stall the decay of the monuments with all resources available, until the resources for their restoration are granted which might take time or may never happen. For this purpose the association depends largely upon fees of its members and donations. Thanks to these donations the Cultural Association has ben able to rebuilt the western wing of the church of the Dormition of the Virgin and to restore the 14th century monument, which is the heart of the village, to its old beauty.